For those of us lucky enough to live in Sydney, we’re spoilt for choice when it comes to amazing nearby holiday destinations. The wealth of both inland and coastal scenery in NSW gives us a wide range of options for weekend getaways. With the weather warming up and a public holiday looming, I’m sure many of you are starting to think about getting out of the city on an exciting long-weekend escape. 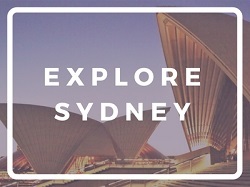 But with so many amazing places to visit near Sydney, the problem is where to choose! 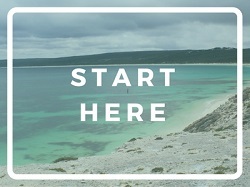 Since I’m slightly addicted to exploring my adopted home and its surrounds, I’ve got plenty of recommendations. The list below gives an overview of my 10 best weekend getaways from Sydney. So whether you’re after city excitement, a lazy beach weekend or beautiful walks through national parks, you should find a destination to suit you needs. So get planning! 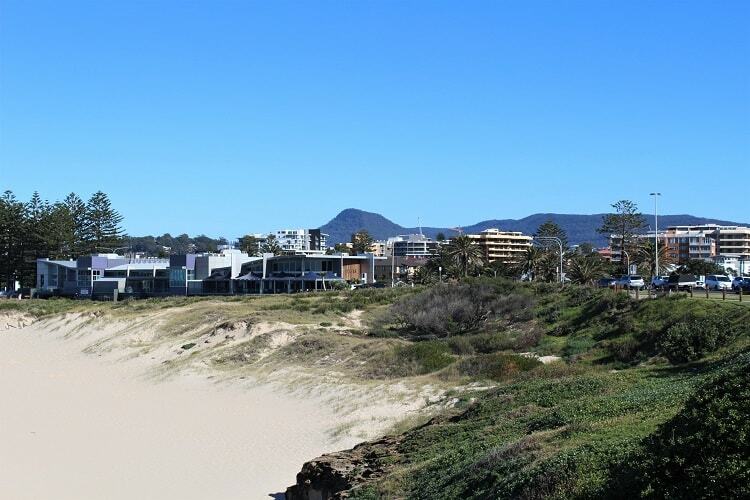 Situated about as beachfront as a city can get, Wollongong not only has shops, bars and restaurants to keep you entertained, but a choice of stunning beaches just a short walk from the centre. The leafy backdrop of the Illawarra escarpment gives The Gong a uniquely mountainous setting for a coastal city, and has some amazing lookout points accessible by car or walking tracks. If you’re after a weekend getaway from Sydney with stunning scenery, beachside cafes, coastal walks and the facilities of a fairly compact city, Wollongong ticks all the boxes. If you’re looking for a more of a big-city feel with a wider choice of cafés, restaurants and nightlife, Newcastle, the second-largest city in New South Wales, could be a great weekend trip for you. 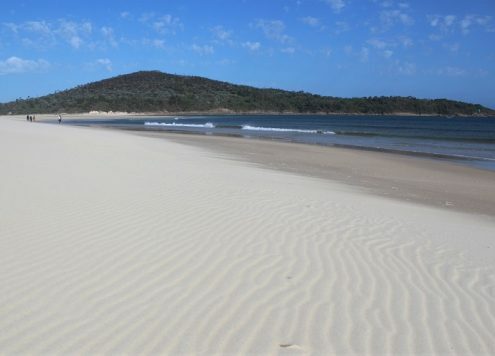 While it looks pretty industrial on first sight, Newcastle has some brilliant beaches and coastal walks, as well as the nearby Worimi Sand Dunes, which are well worth a visit. It’s a great destination for those who want a varied and lively trip away. 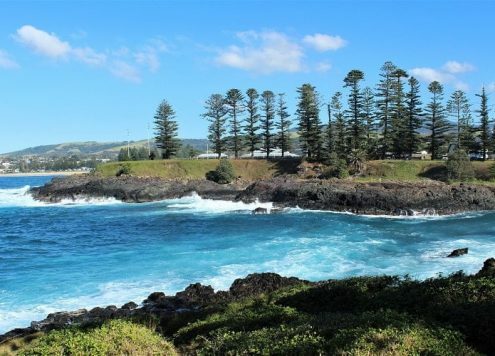 If a combination of beaches and rolling green hills are your sort of thing, Kiama, about half an hour south of Wollongong is a great holiday hotspot to pencil in. 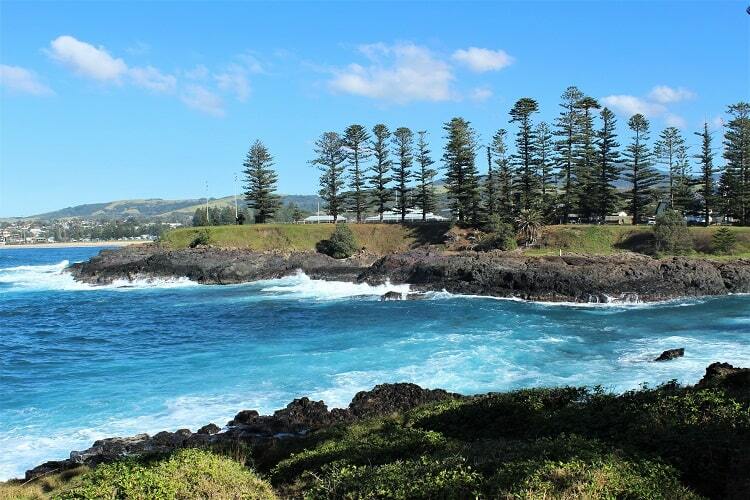 Kiama not only has a decent choice of shops and restaurants in its pleasant town centre, but amazing coastal scenery and walks as well as a blowhole! I’ve only stopped off here briefly on my travels before, but it’s high on my list of places to revisit for longer. 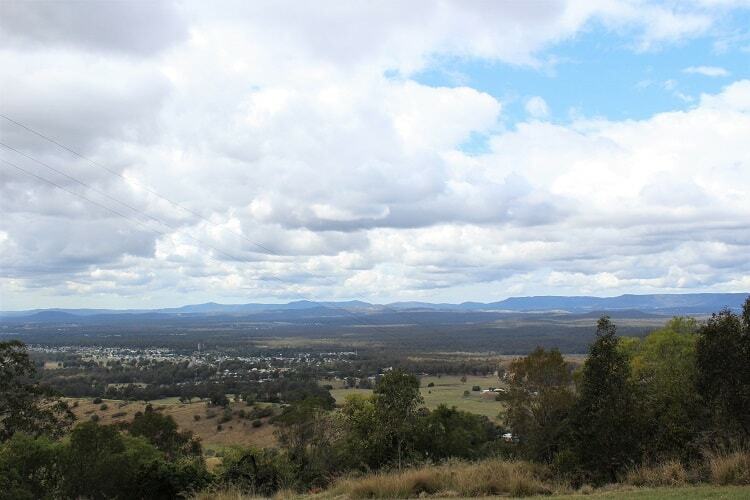 Slightly inland from Newcastle lies the sprawling green expanse of the Hunter Valley. Famous for its vineyards, wine tours are a popular way to spend the day in The Hunter, as well as watching the sunrise from the soaring heights of a hot air balloon. The Hunter Valley Gardens is another popular attraction, and the surrounding national parks such as Yango and Werakata offer a choice of walking tracks. The road trip from Sydney is a treat in itself if you take Tourist Drive 33, which winds its way through the New South Wales countryside, passing quaint little villages such as Laguna and Wollombi. 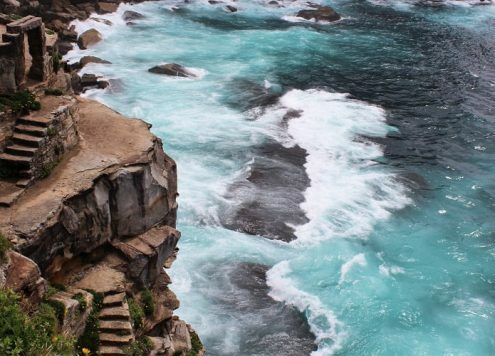 The NSW Central Coast is an ideal spot for a quiet weekend getaway from Sydney. 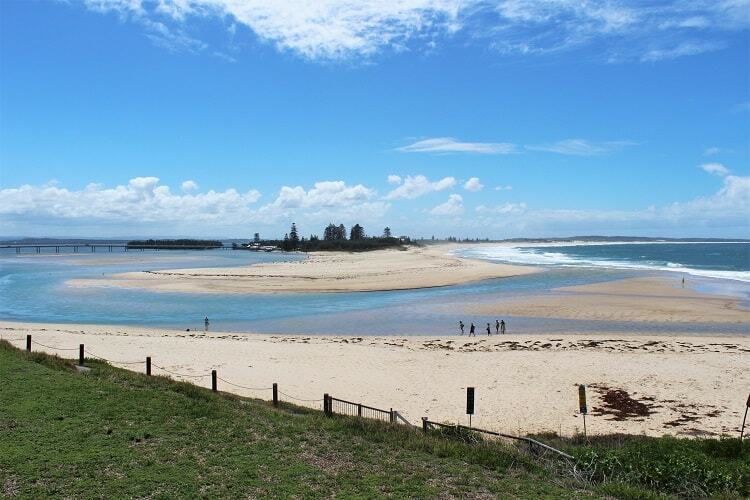 Base yourself up at The Entrance and you’ll have easy access to beautiful walks and coastal areas such as Norah Heads, as well as shops and restaurants in the town itself. As you can see from the picture below, The Entrance Beach is beautiful, and there are also ocean baths and a daily pelican feeding show. 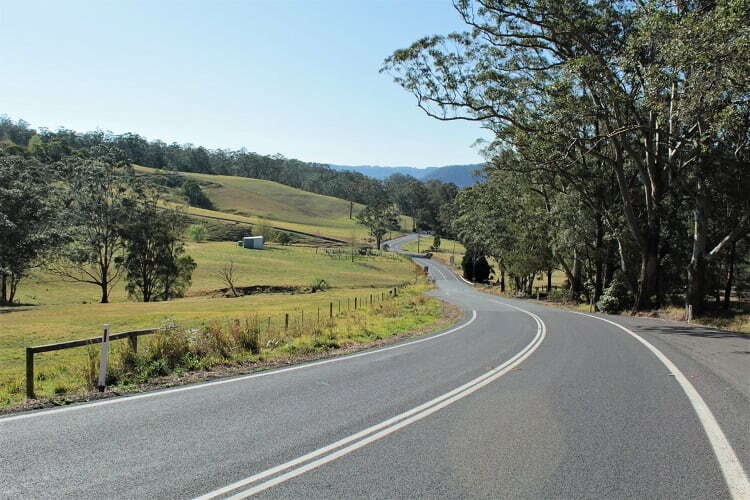 While the northern regions of the Southern Highlands are easily reached on a day trip, the slow, scenic drive down the winding country road to Kangaroo Valley make it better suited for a weekend trip from Sydney. With cute heritage buildings, lush green surroundings and plenty of outdoor activities on offer, such as river kayaking, this area is perfect for nature lovers. 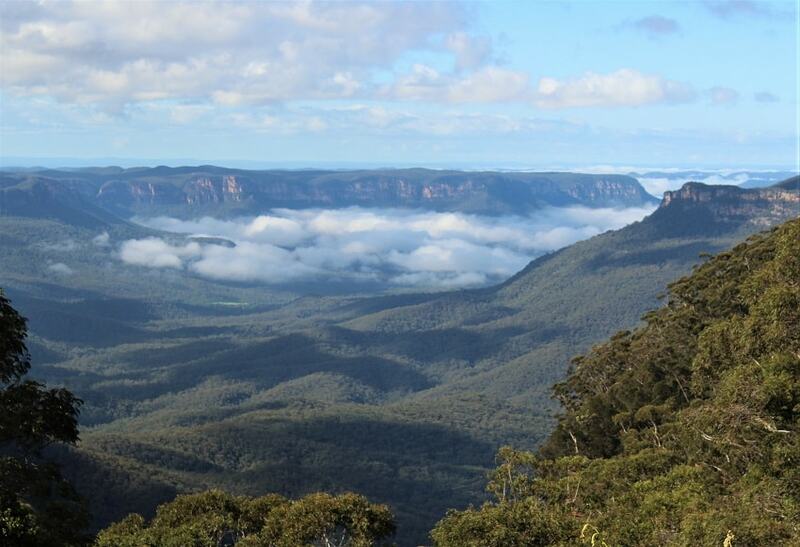 The Blue Mountains is a popular destination for a day trip from Sydney, but with its huge range of walking trails, as well as quaint towns, there’s plenty to keep you occupied for a whole weekend or more. 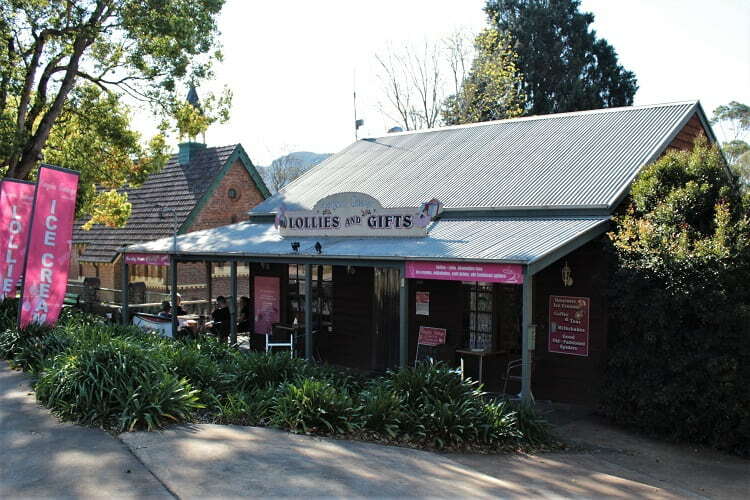 Pay a visit to Wentworth Falls and Echo Point for walks with stunning views, and Leura and Katoomba for quaint little shops and cafes. 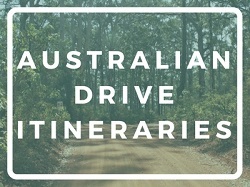 My final three best weekend getaways from Sydney are three to four hours’ drive away, so better suited to a long weekend. For all my fellow beach lovers out there, who are looking for serenity without the big-city lights, Jervis Bay is my top recommendation. 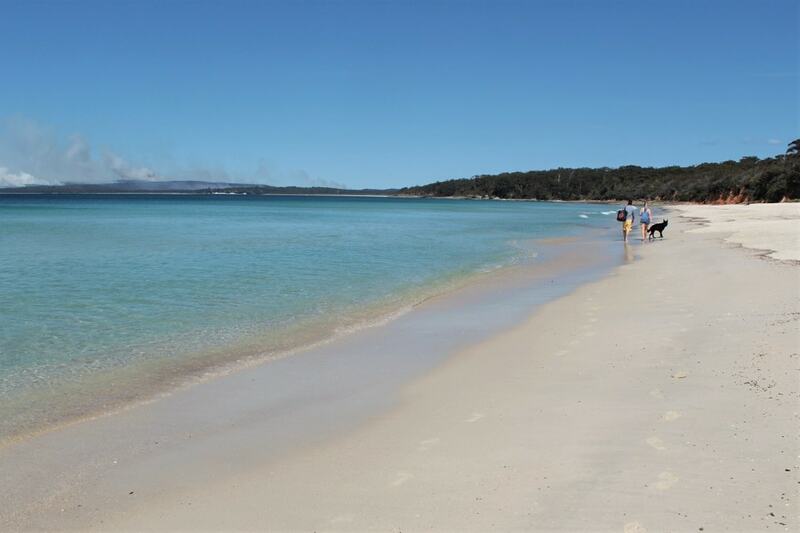 With a small selection of shops and restaurants in Huskisson town centre, a huge selection of bright white, pristine beaches running from the town all the way across the edge of Booderee National Park, and plenty of beautiful walks, Jervis Bay is a true beach lovers’ paradise. The low, green hills that lie between the beautiful beaches of Port Stephens give it a very different look to Sydney, with its craggy headlands. 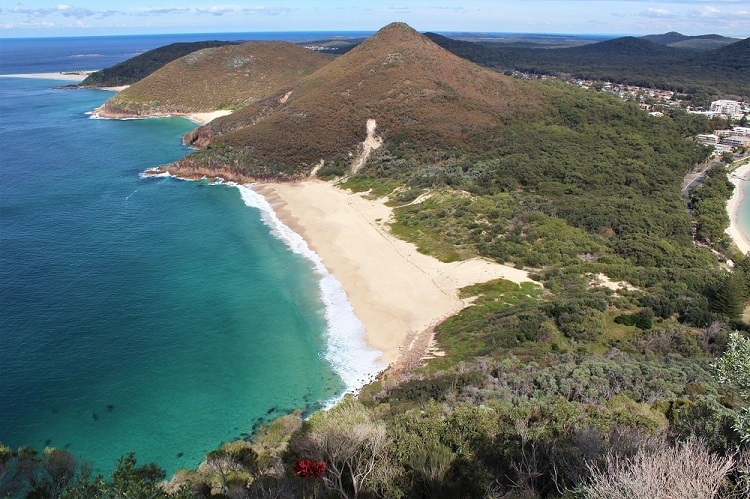 You can hike up to the lookout in Tomaree National Park to see the view below, or simply laze around on a different beach each day. There are shops and restaurants in Nelson Bay, dolphin tours on offer, and lots of drives into the surrounding bushland. Since it’s a few hours north of Sydney, the weather should be a bit warmer than the southern spots like Jervis Bay, if you’re visiting outside of the summer. 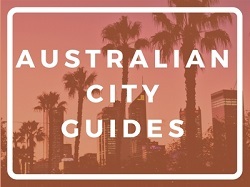 For a cultural weekend getaway from Sydney that doesn’t involve the coastline, Canberra, the capital city of Australia has plenty of options to keep you entertained. Lose a few hours exploring the museums, wander through art galleries, pay a visit to Parliament House or hike to Telstra Tower from the beautiful botanic gardens. 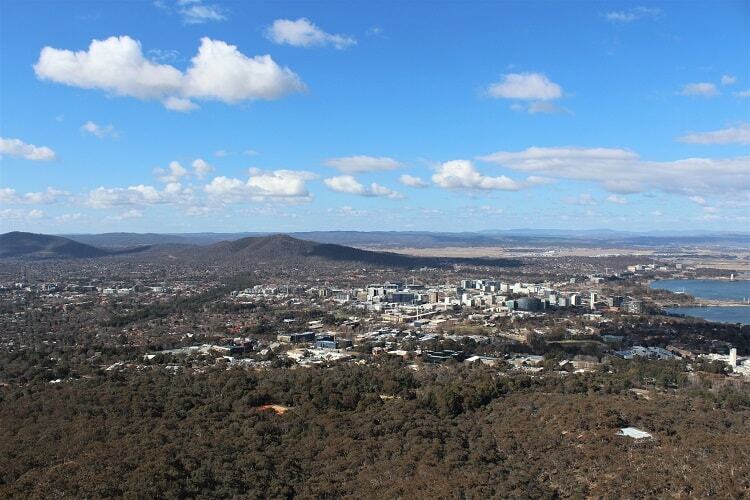 Canberra has plenty to fill a long weekend, and is a great choice if the weather’s wet. 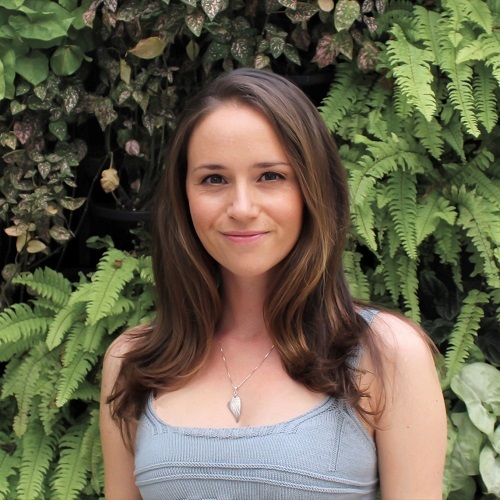 For more destinations from Sydney, take a look at my recommended scenic day trips. Many of these would make great weekend getaways too!